Buyer’s agents can help you grow your portfolio faster, but how do you choose the right buyer’s agent? Utilizing the skills and resources of a buyer’s agent can help you move forward and invest in more properties faster, therefore helping you achieve whatever your goals may be faster as well. But how do you go about choosing the right buyer’s agent for you? Hey, I am Ryan from OnProperty.com.au, helping you find positive cash flow property and I work really closely with a buyer’s agent named Ben Everingham from Pumped On Property and a lot of people do ask me for references for buyer’s agents and I am always happy to recommend him. But, whether or not you have thought about him or whether or not he suits you, I thought it would be helpful to talk about how you should think about choosing the correct buyer’s agent for you. So, the first thing that I recommend before going to talk to Ben or talk to any buyer’s agent is to actually have your own goals set first. This is something that not many people have actually done. I talked to Ben about it and he says not many people have clear-cut goals of exactly what they want. They might say that they want to own 10 properties that they want to be rich but they do not actually know what that means. So first things first, set some goals for yourself. My goal for myself is $60,000 per year in passive income, which will give me and my family enough to get by. It is not a lush, lavish lifestyle but it is enough to get by. We do not have to worry about paying our bills anymore and then I can continue to work and run businesses and continue to grow that into the future. So, set your goals first; work out what is important to you so when you go to a buyer’s agent you know what is important to you and you can begin to assess whether or not they can help you achieve your goals. Because if you go to a buyer’s agent without a goal already set, they are going to tell you what your goal should be and they are going to tell you goals that line up with their services. And so you can be – tricked is the wrong word, but convinced into using their services and you think you have your goals set but really it is just what they told you. So setting your goals first is definitely a good thing to do and I have a great episode on that if you go to OnProperty.com.au/day1. I talked about finding your financial true north. Actually, I probably need to redo that episode because it has been so popular. So once you have chosen your goals, you want to begin to look for buyer’s agents who can help you achieve those goals or who have already achieved those goals themselves, ideally. For example, Ben, who is the buyer’s agent that I recommend. He has achieved financial freedom himself through investing in property and now helps other people do it as well. So if financial freedom is your goal, then Ben is a great person to go to. However, if you want to do large scale developments – if you want to build townhouses, then he does not have as much experience in that so I probably will not recommend him. So based on your goals – if it is financial freedom, you can work out who is going to be the best buyer’s agent for you. And generally, the best ones are people who have already achieved it and achieved it in a way that is feasible for you as well. The second thing that I would recommend is to choose your own strategy first. So think about how you would like to invest, and again it comes down to ‘if you do not have a strategy chosen out for yourself, they would choose the strategy for you and it would be the strategy that makes sense to them and their business.’ So I would always like to go to a buyer’s agent and say here are my goals, here is the rough strategy that I want to use – I want to invest in residential property that I can renovate and rent out and use the equity to go again. That is a rough strategy that you can go to a buyer’s agent with; and you can then work out, “Okay, can you actually help me with that strategy?” So if I have that strategy and I go to a buyer’s agent and they say, “Look Ryan, what you should do is buy new build property or what you should do is do developments.” You can be like, “Well, no. I do not want to do that. I do not want that pressure. I have chosen this strategy because of the risks, because of the way that I am inclined and I want to follow that strategy or roughly follow that strategy.” And they try and push you in a whole different direction, and then you could just flick them off and basically run away and choose a better buyer’s agent. And so going with your own strategy first and choose a buyer’s agent who is willing to help you achieve your goals using your strategy. Now, let us just add a caveat to this that going with the rough strategy of what you want to do and be willing to learn from your buyer’s agent. And so they have obviously – they have invested, they purchased a lot of properties for themselves and their clients, they know a lot about the market , so they can poke holes in your strategy. But if they are trying to sell you in a completely different strategy but you have done your research and you know what you want to invest in and why, then I would be worried about that. The next that I would give you is to find buyer’s agents who can do things that you cannot. So maybe you know how to find positive cash flow properties but you do not know how to research areas or maybe you have the money to invest, you can talk to a mortgage broker but you do not have the time to research areas, to find properties, or to go to Open-For-Inspections. So you want to find a buyer’s agent who matches up with you and who can do things that you cannot do. Ideally, they should be able to research an area well, research properties well, inspect those and give you great feedback on them and also potentially negotiate on your behalf as well. And so, you want to find someone who can do something that you cannot and that they are very strong at those particular things. You do not want a buyer’s agent who is not good at negotiating if you are also not good at negotiating. so I believe that you need to find someone that their strengths can match and make up for your weaknesses. You also want to find an agent who sells existing properties, I believe primarily. Agents who just sell new build properties are generally making commissions from the builder on the sale of those properties and these are often over-inflated properties. There is a big conflict of interest there. But when someone is selling existing properties, there is a lot less risk of them getting commissions, they getting cutbacks for selling those properties. And so I would definitely want to work with a buyer’s agent who predominantly sells existing properties and he is going to recommend that to you because if they are just selling new-builds, generally there is a conflict of interest because they are getting commissions from the builder or something like that. I do not know exactly how they work out but I absolutely hate that because it does tend to lead to people selling overvalued properties to uneducated investors and I want the best result for you. And so I do believe avoiding those people is a must! Next tip would be to talk to more than one agent so do not just get a free strategy session with Ben and leave it at that. Look for other agents as well. Listen to Property Podcast or get recommendations for friends in terms of what agents to look for. But definitely I recommend seeing more than 1 agent because you may go to one and be again completely convinced that their strategy and how they are advising you to invest. But you could go to another one and they just encourage you or they convince you to invest in a different way. And then you can see the differences between the two and you can make a more educated decision. So do not just see one buyer’s agent but definitely go ahead and see multiple agents. And then lastly, my last tip for you is try and find an agent who is actually going to mentor you, who is willing to teach you things as well. If you are just paying them a fee, they are going out and buying a property for you, yes you may hopefully be in a better financial position but you have not learned anything for the next purchase. So you want to buy a buyer’s agent who is willing to coach you and mentor you. That does not mean that they are going to have coffee with you every single week, but it just means they are going to talk about here is why we are investing in this property; here is the research that we have done. And so you can begin to fill and understand the process yourself and so whether you use them for one property, two properties, three properties; eventually you will be knowledgeable enough that you can go ahead and invest in property yourself and you have learned a lot from the experience. So you do not just want to get a property for the fee that you pay, but you also want to get a lot of learnings from your buyer’s agent as well. So go ahead and find an agent who will mentor you. So, they are my recommendations for finding a buyer’s agent. I do have a close relationship with Ben Everingham and if I recommend people to him, I do get a referral fee for that so I guess there is a conflict of interest, sort of, with me talking about buyer’s agents because I like to recommend him because I trust him but also I get a referral fee from him. I always like to be transparent about that. 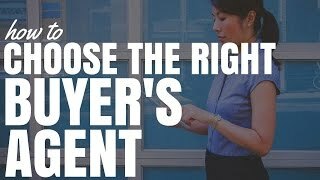 I would like you to take this episode with a grain of salt in terms of choosing your buyer’s agent. But I would really hope that these tips – I have really thought about them, and I do think they will help you find the buyer’s agent that is best suited to you. If you are interested in getting in contact with my buyer’s agent that I recommend, Ben Everingham – the reason that I recommend him is because he is basically the only person in this industry that I trust and he is the closest person to me in the way that he goes about doing things – the way that he does research, the way that he treats his customers, the strategies that he implements with his customers to help them achieve their financial goals. He is basically the closest clone of myself that exist in the world. And so that is kind of why I am so happy to work super closely with him and recommend him. As I mentioned, I do get a referral fee if I recommend you to him and you end up using his services. But, he is offering free strategy sessions to listeners of On Property. And so if you are looking for a buyer’s agent, I do recommend getting a free strategy session with him because you can talk to him, talk about your goals, talk about your strategy. And then you can get advice from him. You can get tips from him. Hopefully it is a good fit – you can work together and you can purchase multiple properties together. That is a win-win for everyone. If you are interested in getting a free strategy session with Ben; that is absolutely no pressure in terms of going on with him but just get a feel for him. Learn a bit through that free strategy session about what your next step should be. Go to OnProperty.com.au/session and you can request your free strategy session over there. Again that link is OnProperty.com.au/session. So go over there, request a free strategy session with Ben, organize that and see if he is a good fit for you, and at the same time go out there and look for other buyer’s agents using the tips that I have given you. So that is it for me today guys. Until next time, stay positive.